Self-care is defined as “the practice of taking action to preserve or improve one’s own health and taking an active role in protecting one’s own well-being and happiness, in particular during periods of stress”. In a shifting world where work stress is becoming more common, the balance between family relationships, social circles, and self-care is taking a back seat. With increasing pressure to make more money to meet bill payments, higher interest rates on mortgages, loans, and credit cards, inflation rates rising beyond what wages can handle, stress has become the norm. Most working professionals are working longer and more hours to meet the demands of their careers. This leaves little time to practice self-care. Being able to take some time each week to relax and recharge can be the difference between being in a positive, healthy state of mind and beginning to feel ‘burn-out’. Many workplaces have tried to combat those burn-outs by implementing a paid day off for mental health, but often there’s a stigma attached to taking these days. While mental health in the 21st Century has moved forward by leaps, there is still a stigma surrounding needing time off when a person feels unbalanced. Often, we try to medicate and label those who need these days when in reality, most times a better practice of self-care would help eliminate the over-worked feeling many professionals are suffering from. Self-care can entail anything of interest, from a few minutes of walking, to reading, writing, or drawing. As people age, they tend to put their hobbies behind them, moving towards the goal of becoming a successful-career minded individual, but it’s those hobbies that bring joy which can be used for self-care and relaxation. If you watch a child play, their innocence and fascination of the world around them feels foreign, and sometimes exclamations of, “I wish I were that young and carefree again,” can be heard as the laughter of children rings about. Somehow, working professionals are losing their sense of self, replacing it with the need to make more, do more and achieve more. It has become normal to put all self-inspired interests aside in the pursuit of happiness, however, it is overlooked that happiness isn’t attainable through working longer and harder, it is attained by simply enjoying the things that are of interest to oneself. Taking time to enjoy life can greatly reduce stress, and in doing so, family relationships can improve and so can work productivity. Here are the top three ways to improve self-care, as taken from Psychology Today, article Self Care 101 (May 27, 2018), by Maria Baratta: knowing who you are and your limits, getting enough sleep, and making sure you are nourished. These are three relatively easy goals to try and focus on throughout the day. Understanding your limits and putting boundaries in place will help curb the potential burn-out of working too much. It seems redundant to mention sleep, as it’s a well-known fact that having enough sleep increases mental well-being and productivity, but many working professionals don’t get enough for a variety of reasons. By allocating enough hours to sleep and rest, you will find it easier to feel relaxed and as a result have increased concentration in all aspects of life. Nutrition is one area of life that many people struggle with. There never seems to be enough hours in a day to work, spend time with family and friends, exercise, sleep and still cook a wholesome meal. As a result, many turn to take out or quick delivery apps in order to make it easier to eat. While these apps seem helpful, often the meals picked are full of refined sugar or an unnecessary amount of carbs. Taking a few hours each week to meal prep, pre-cutting vegetables, pre-cooking protein, or portioning out snacks can save the mental stress of feeling too tired or overwhelmed to cook a meal each day. Easy cook meals such as instant pots or slow cookers allow for large amounts of food to be cooked at once and portioned out for the family over a few days. 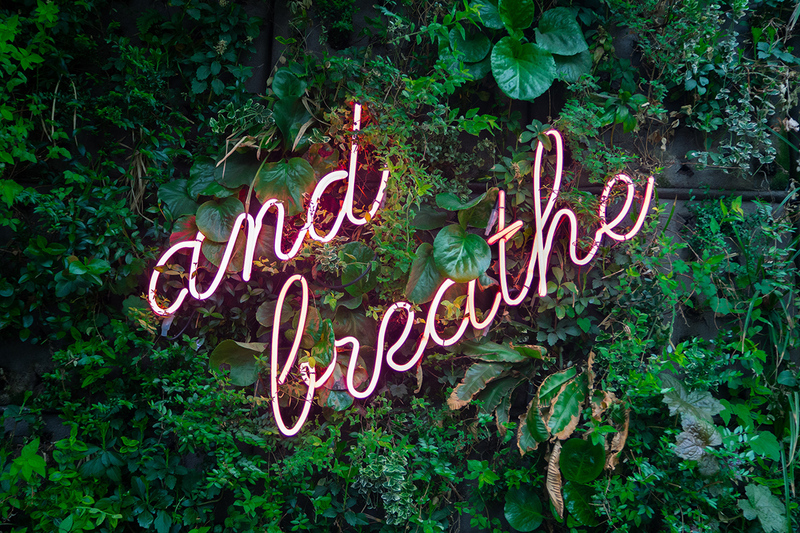 These three self-care suggestions are fairly simple to implement and they will vastly improve the quality of life working professionals experience.